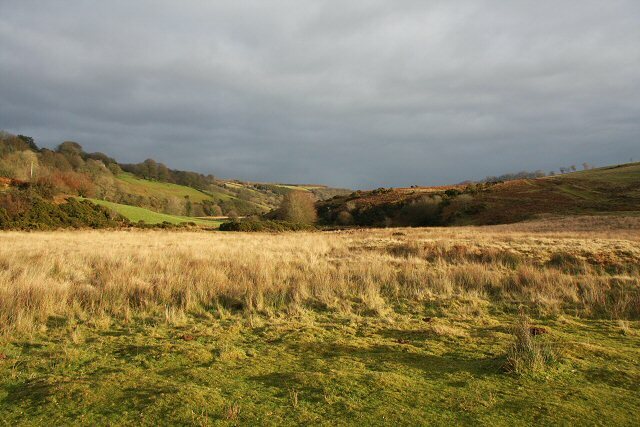 This circular walk takes you from the little village of Withypool to the medieval Landacre Bridge on Exmoor. It uses a section of the long distance Two Moors Way footpath to reach the picturesque scheduled ancient monument which spans the River Barle. Along the way there's lovely views across the National Park with lots of Exmoor Ponies to look out for too. The walk starts in the centre of the village where car parking is available. From here you can pick up a public footpath along the Two Moors Way, heading north west from the village. Follow the path for about a quarter of a mile to Kitridge Lane, where you turn left. The trail then follows the country lane for just over a mile until you reach Landacre Lane on the left. The lane will take you to the stone bridge with its distinctive five arches. It dates from the late medieval period and is Grade II listed. There's lovely views down the river to the moors in all both directions. Shortly after crossing the bridge, you can pick up a footpath on the left. This will take you through the countryside to Brightworthy where you can follow a nice riverside footpath along the Barle back into Withypool. To extend your walking in the Withypool area you can follow the river south along the Two Moors Way to Tarr Steps. Here you will find a medieval clapper bridge set in a beautiful riverside nature reserve. The Exe Valley Way also passes through the village. You could follow it north to Exford and enjoy views of the River Exe.